Dispelling the myth that legumes are “stodgy”, time-consuming to cook and “just for vegetarians”, Superlegumes is a new wholefoods cookbook that will inspire with more than 85 mouthwatering illustrated dishes. They include this recipe for Mandarin, pistachio and chickpea cake. “Chickpeas in a cake may sound strange, but this cake is absolutely delicious,” writes Chrissy Freer, Australian nutritionist, recipe developer and author of Superlegumes. 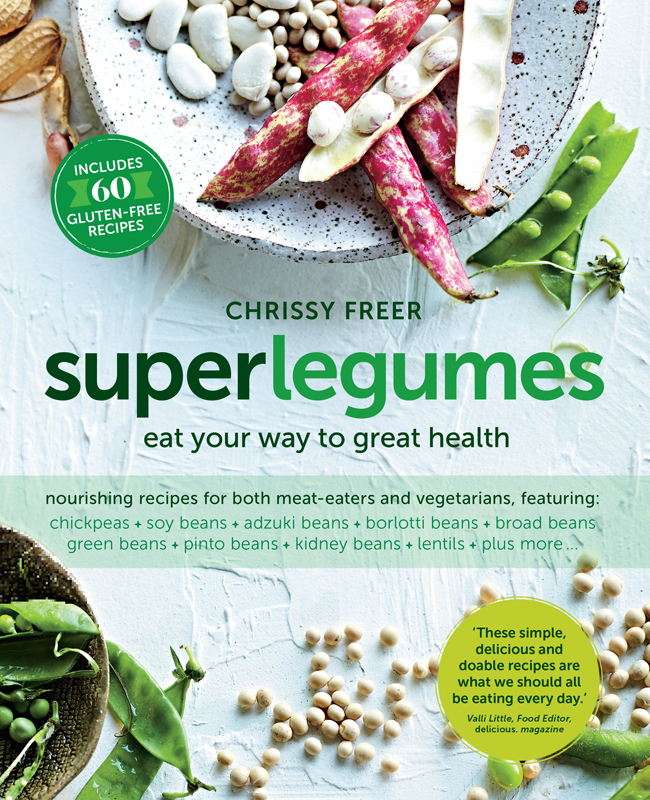 ‘Superlegumes’ by Chrissy Freer, $29.99, published by Murdoch Books. Place the mandarins in a large saucepan, cover with cold water and bring to the boil, then drain. Cover with cold water again, return to the boil, then reduce the heat to low and simmer for 45 minutes, adding a little more water to the pan as necessary. Drain mandarins and set aside to cool. Preheat the oven to 170°C. Lightly grease a 22 cm round cake tin and line it with baking paper. Cut the mandarins into quarters and remove the seeds (discard). Process the pistachios in a food processor to fine crumbs. Remove; set aside. Add the chickpeas to the food processor and process to fine crumbs. Add the mandarins and process until smooth. Use an electric mixer to whisk the sugar and eggs in a large bowl until thick. Add the mandarin mixture and fold in until well combined, then add the ground pistachios, flour and baking powder and stir until well combined. Spoon the batter into the prepared tin and smooth the surface with the back of the spoon. Bake for 50 minutes or until a skewer inserted into the centre comes out with a few moist crumbs. If the cake browns too quickly, cover the top loosely with foil. Set aside to cool for 20 minutes, then carefully remove from tin and cool completely on a wire rack. Serve dusted with icing sugar and garnished with extra chopped pistachios. For a gluten-free version, replace the flour with gluten-free plain flour.